This is the Ferguson Triplet Grinder, i.e. 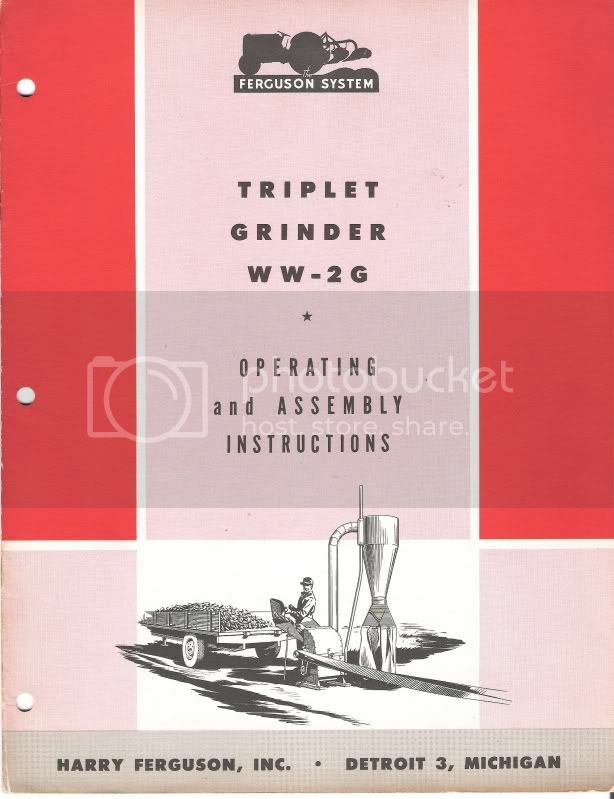 Hammer Mill, Model WW-2G Assembly & Operating Manual, published in 1946 for the Ford Tractor, Form Z-3194-A. It was used to grind or chop grains like oats, barley, wheat, corn, kaffir & sorghum for animal feed mainly. 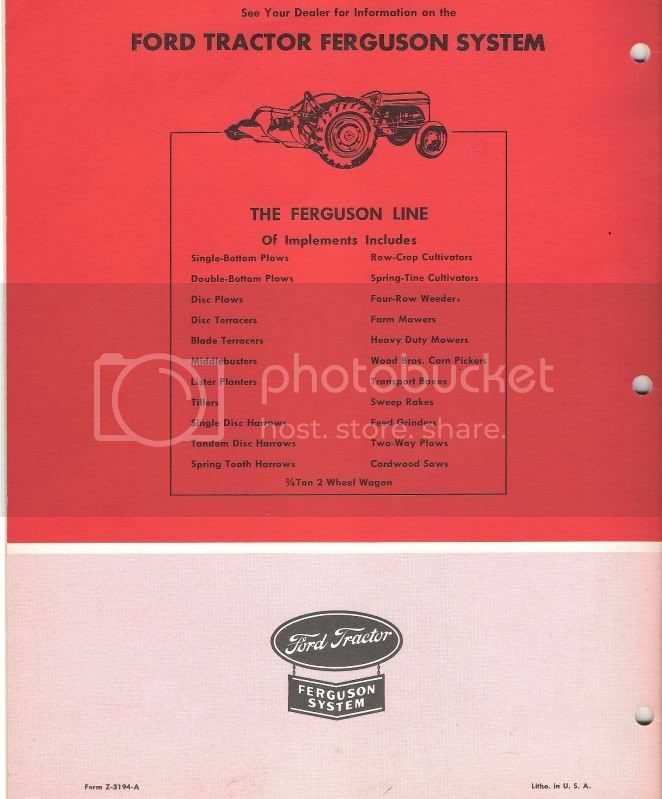 Used in conjunction with the belt pulley on the N-Series Tractor, a 50-foot belt was used and strongly advised to secure both the grinder and tractor in stationary positions to maintain proper operation. Anyone have one of these?